Hello. This is the Aston Martin Valkyrie. It doesn’t have doors. It has a circular hatch, and I have no idea what anyone’s supposed to do with it. Really now. How the hell is a normal human being, complete with two non-stumps for legs, supposed to get in there? Maybe jump in. Or dive in, headfirst. But then how are you supposed to get out of it? Or close the door once you’re inside? It’s absurd on the face of it. Now think about the average age and fitness level of the (likely older, fatter) people who are going to have the money and the wherewithal to buy this thing. They will break a hip. Or die. If not from immediately losing all of your limbs, you’ll end up dead from the embarrassment of showing up to a fancy party in your street-legal Aston Martin Valkryie, and not being able to get out. This is a view no one will ever have because they can’t get in. Don’t believe me, a well-educated human being on the matter of both getting into, and out of cars? I have gotten into many a car in my day, some easier or more difficult than others. One of the hardest cars to get into – and one which is surely a thousand leagues easier than this silly Aston Martin – is the Lotus Elise. Just look at that gentleman of a certain age trying to ease his weather-worn body in there. He doesn’t stand a chance. 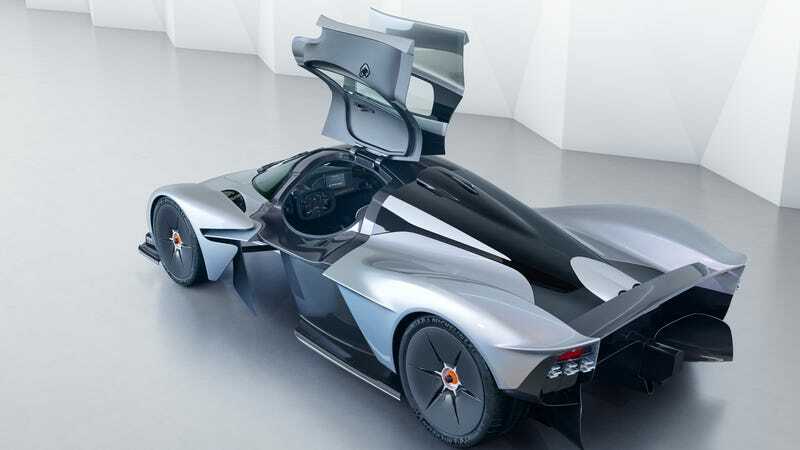 Neither will Aston Martin Valkyrie owners. This is a problem, because cars should be driven. Not just parked because no one can physically enter them. Are you on the order list for an Aston Martin Valkyrie? I would desperately love to be proven wrong on this one. Please. Take a video of your sprightly, spring-chicken self hopping into and out of it with ease. And not having your head fall off in the process.